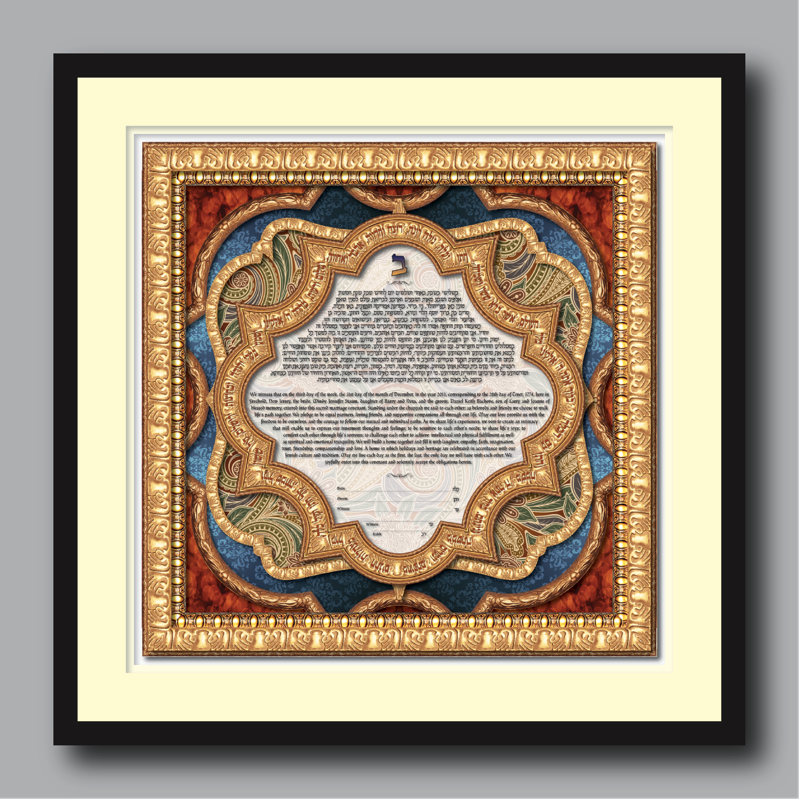 "The Sixth Blessing” ketubah design features the most poignant and moving of the blessings recited at the marriage ceremony. 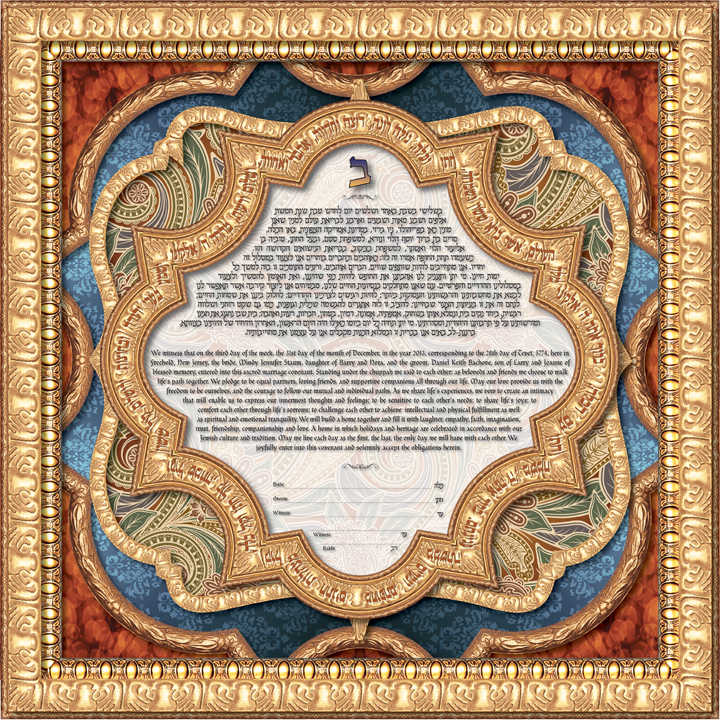 These sacred words of joy appear to be engraved into the frame that surrounds the ketubah text. 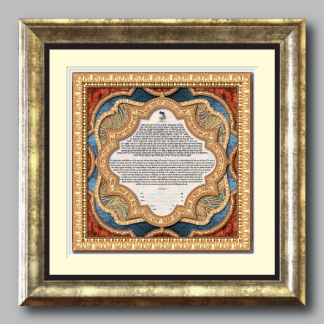 A series of ornate golden frames surround multi layered backgrounds of magnificent and vibrant color and pattern. 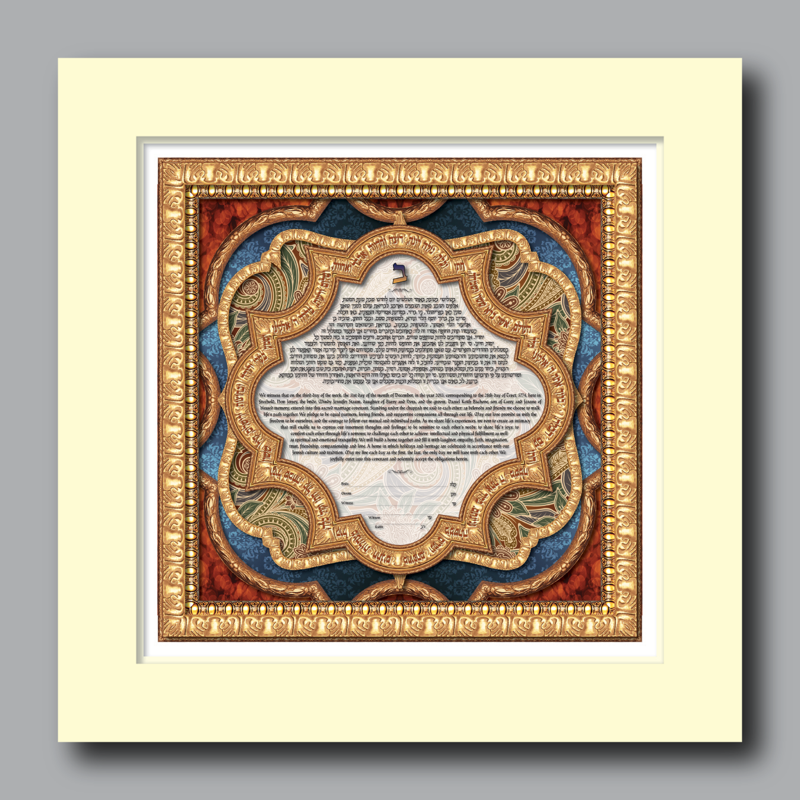 The Hebrew words that encircle the wedding vows translate in English to, “Blessed are You, Lord, our Gd, sovereign of the universe, who created joy and gladness, groom and bride, mirth, song, delight and rejoicing, love and harmony and peace and companionship. Soon, Lord our Gd, may there ever be heard in the cities of Judah and in the streets of Jerusalem voices of joy and gladness, voices of groom and bride, the jubilant voices of those joined in marriage under the bridal canopy, the voices of young people feasting and singing. Blessed are You, Lord, who causes the groom to rejoice with his bride." 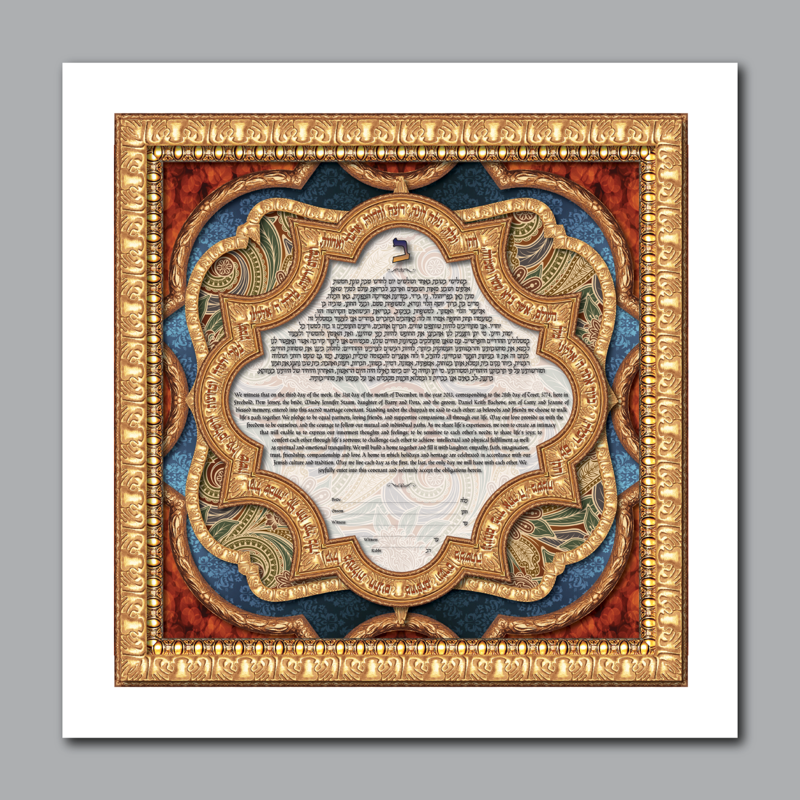 These words perfectly reflect the feelings of the betrothed and affirm their commitment to their new and joyous union.